Garo Z. Antreasian (1922-) is an American painter, lithographer, and illustrator. Born in 1922 in Indiana, Antreasian received his formal art training at the Herron School of Art, where he later taught. He studied printmaking at the Art Students League in New York. 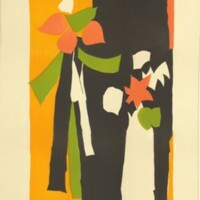 Antreasian became the first technical director of the Tamarind Lithography Workshop in Los Angeles, which in 1970 moved to the University of New Mexico.